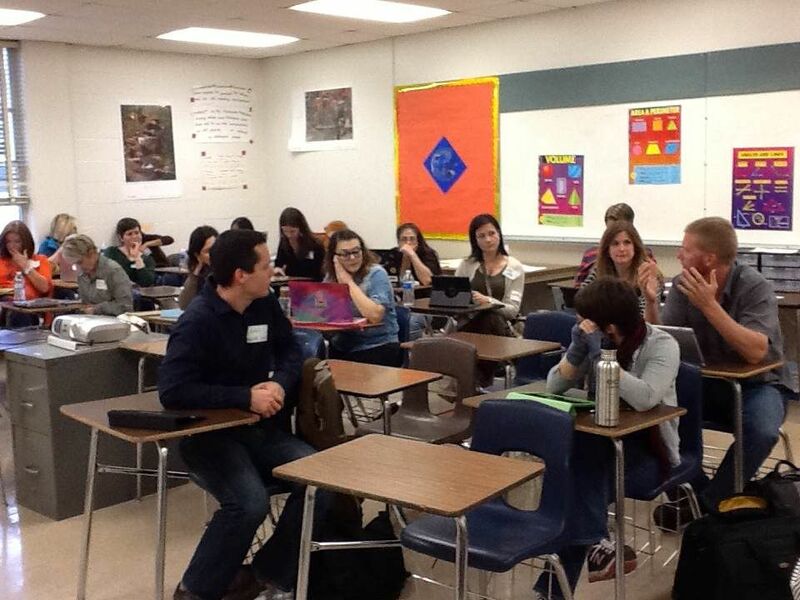 The first ever Edcamp Austin was hosted at Crockett HS on Saturday, November 9th! This has been one of my projects in the works since the summer and it was sort of surreal that the actual event had finally arrived. 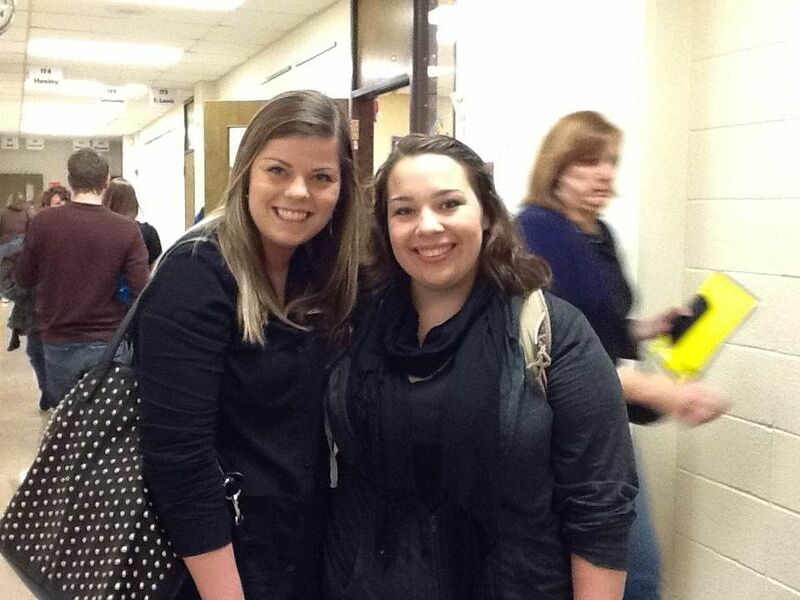 About 200 educators converged into the cafeteria early on a Saturday morning to come learn from and with each other. 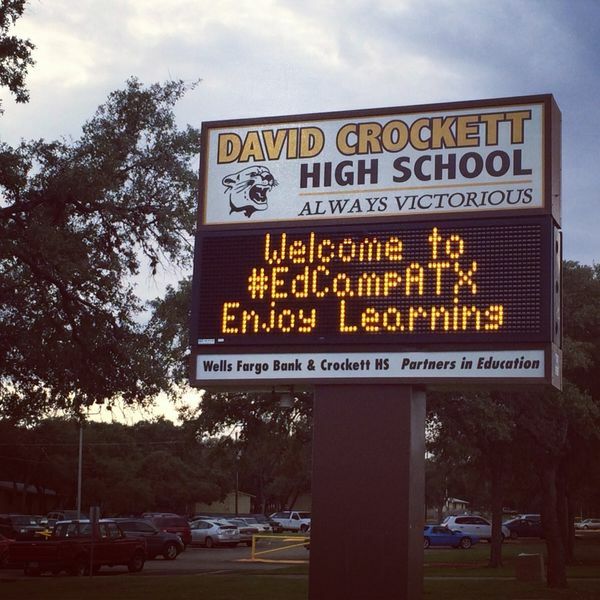 In fact, being a host/co-founder of EdcampATX probably helped me get my job at Crockett, as it came up during my interview and I know my principal was glad to see I wasn't afraid to be a bit (or very) different. Registration was free for participants and we had enough sponsors to be able to pay for breakfast and give away some great prizes at the end of the day. 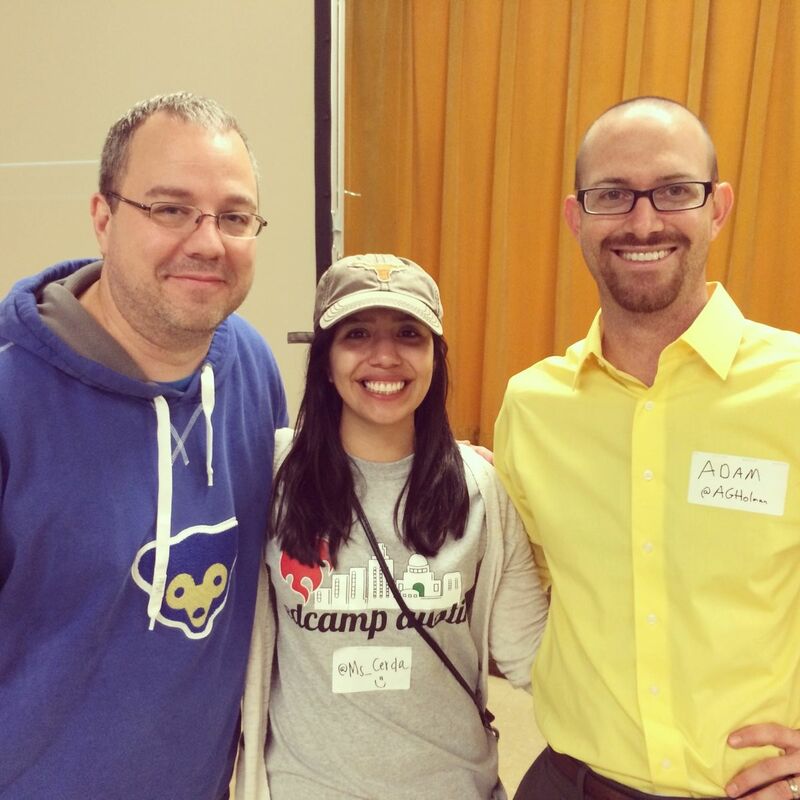 For those unfamiliar with the term, an Edcamp is a type of unconference designed specifically for teachers and educators that is a completely participant driven, professional development experience. Attendees write on sticky notes what they want to learn about and we build the schedule to make it happen. 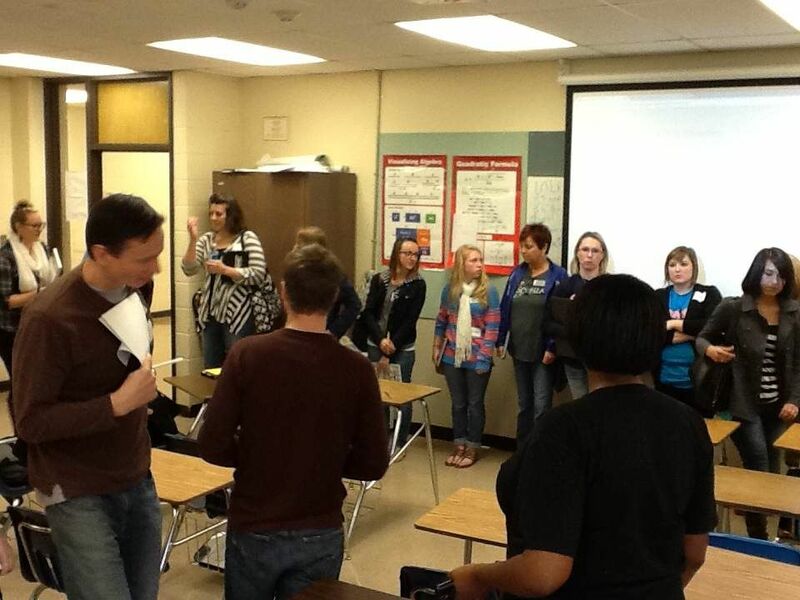 About 30 sessions took place and a few other informal ones as well. Topics explored in more depth included Project Based Learning, Augmented Reality, Transformative Learning Spaces, Shifting Admin Culture, iPad Everyday Use, Twitter as Professional Development, Rethinking Classroom Management, Blogging for Teachers, Genius Hour, Interactive Notebooks, and Google Apps for Education, just to name a few! I heard a lot of great comments about the event, which also featured the Crockett mariachi band playing during our morning breakfast as well as the last serving of food in Austin for the food trailer Pretty Thai for a White Guy (they were moving to Belton after our event). 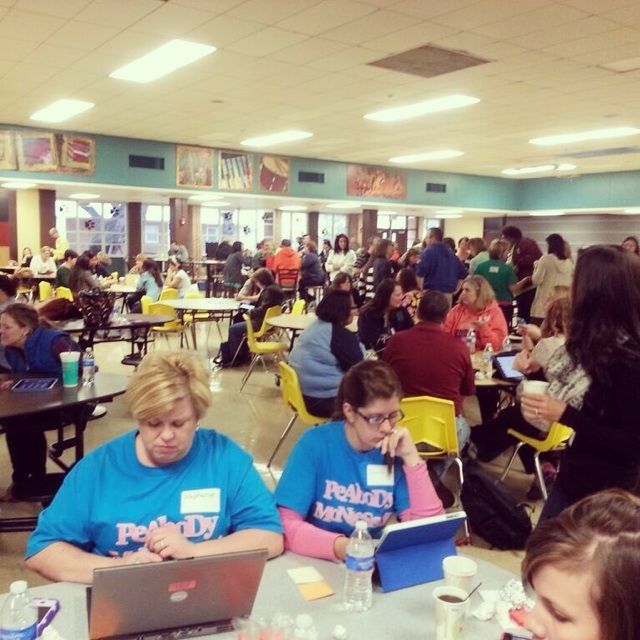 To see more about Edcamp Austin, check out this Storify of tweets about #edcampATX or visit the website EdcampATX. A huge thanks to my friends, colleagues, and hosts Ms. Stephanie Cerda and Mr. Jon Samuelson as they really made EdcampATX a great learning experience. I can't wait for next year!